 The Top of the World Observation Level is managed by the Baltimore Office of Promotion & The Arts. The Baltimore Office of Promotion & The Arts (BOPA) is a 501 (c) (3) non-profit organization which serves as Baltimore City’s official arts council, events agency and film office. By providing funding and support to artists, arts programs and organizations across the city, and by producing large-scale events such as Light City, Artscape and the Baltimore Book Festival, BOPA’s goal is to make Baltimore a more vibrant and creative city.